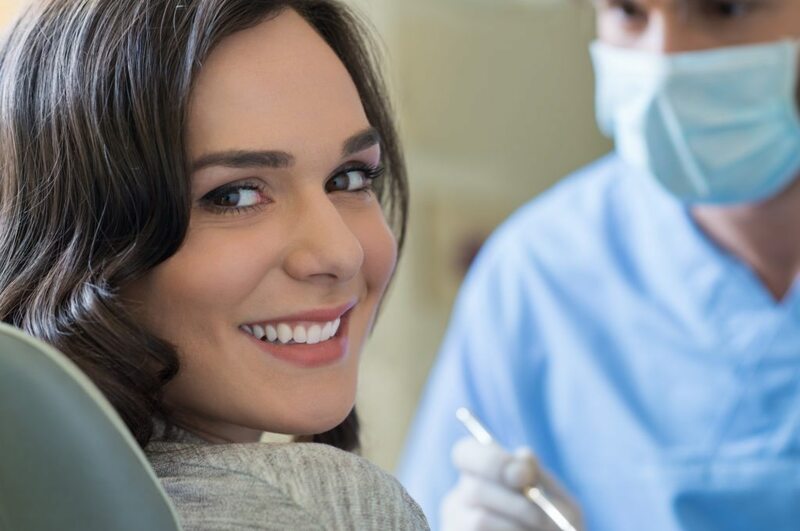 At our Boulder dentistry, our team at Valmont Dental wants all of our patients to enjoy a lifetime of healthy teeth and gums. Of course, enjoying a great looking smile means preventing the development of gum disease. Periodontitis, more commonly referred to as gum disease, begins with bacterial growth in the mouth and could result in permanent tooth loss when not properly treated. Despite the risk it poses to our long-term health, gum disease is incredibly common. Roughly 47 percent of adults in the U.S. suffer from some degree of gum disease, according to the Centers for Disease Control and Prevention. This makes gum disease the most common chronic infection in the country. Early stage gum disease is typically marked by inflammation of gum tissue, also called gingivitis. While gingivitis usually precedes periodontitis, it’s important to note that this isn’t always the case. During the early stages of gingivitis, the harmful oral bacteria known as plaque can begin to buildup in the mouth, causing gums to become inflamed and to bleed easily while brushing and flossing. While gingivitis may cause gum irritation, our teeth are still firmly in place. At this stage of the disease, no irreversible damage has occurred to gum tissue or the supporting bone structure. However, when gingivitis is left untreated by the team at our Boulder dentistry, the disease can progress into periodontitis. When patients begin to develop this stage of the disease, the layer of gum tissue that surrounds the base of their teeth begins to slowly pull away, creating pockets where bacteria and food particles can accumulate and become infected. The immune system then attempts to fight the infection as the bacteria continues to spread below the gum line. Corrosive substances created by plaque begin to breakdown the connective tissue and bone that hold our teeth into position. As the disease continues its progression, the pockets further deepen and more tissue and bone are destroyed. When this occurs, teeth are no longer anchored into place, they start to become loose, and permanent tooth loss can occur. Gum disease ranks as the leading cause of tooth loss in adults in the U.S. and around the world. Poor oral hygiene. Failing to brush and floss daily allows plaque deposits to quickly buildup on the surface of our teeth and along the gum line. Hormonal changes. When the body goes through significant hormonal changes, such as during puberty, pregnancy, and menopause, gum tissue becomes more sensitive, thereby making it easier for gingivitis to develop. Underlying medical condition. There are a variety of illnesses that can increase our risk for gum disease, including diabetes, dry mouth, and cancer. Patients who suffer from gum disease despite practicing quality oral hygiene may be at risk of having an underlying condition as the cause of their periodontitis. Prescription medications. Certain types of medications that cause dry mouth as a symptom can increase the risk for gum disease. Some individuals have a higher risk for developing gum disease simply based on their genetic predisposition. Brush twice a day. Brushing helps to remove plaque deposits from the surface our teeth before they can contribute to the development of the inflammation and decay that results in gum disease. Floss daily. Flossing works to remove plaque from areas a toothbrush cannot – between our teeth and below the gum line. Schedule regular dental appointments. Regular exams and cleanings at our Boulder dentistry provide Dr. Miller with the chance to stop the disease during the early stages before it has a chance to develop and cause more damage.